Poet, publisher, business tycoon and entrepreneur Felix Dennis has set forth on the UK’s largest ever poetry tour to celebrate the launch of his latest collection, Homeless in my Heart¸ taking with him enough free wine to make even Lord Byron turn his head. The wines will be served at each of the eleven free recitals. Entitled Did I Mention the Free Wine?, the tour began on October 2nd in London and will wend its way around the UK (dates below). A special Felix Dennis wine case, including the new anthology, is also available that includes the wines chosen by the poet for this nationwide recital, via online merchant www.fromvineyardsdirect.com, who run Dennis’s own ‘The Week Wine Club’, a weekly news magazineTWWC. Staying with www.fromvineyardsdirect.com, the company has also just launched an Irish office in Dublin, meaning local sales and deliveries are easier. The dates of Felix Dennis’s ‘Did I Mention the Free Wine?’ are: Manchester, Funktion Room, Pure – Tuesday 7 October; Edinburgh, Jongleurs – Thursday 9 October; Brighton, Komedia – Monday 13 October; Cardiff, The Glee Club – Tuesday 14 October; London, The Shaw Theatre – Friday 17 October; Dublin, The Button Factory – Monday 20 October; Windermere, Cumbria Wordsworth Trust – Tuesday 21 October . Tickets are now on sale for the The Wine Show, which returns to London’s Business Design Centre from Thursday 23rd – Sunday 26th October.Visitors are promised that they can sample 1000’s of wines from around the world, learn top tips from celebrity experts, learn to choose confidently from any wine list, find out about wine investment, match food and wine for home entertaining, choose wines for wedding and Christmas parties amongst other daily activities, tastings and events. For ticket enquiries visit www.wineshow.co.uk and note there is an early-bird half-price ticket offer. Thierry’s is one of the UK’s major wine importers. Last year, its founder Thierry Cabanne was killed in a car crash, and in his honour the Thierry’s company has become a Corporate Patron of the Wine & Spirits Education Trust (WSET) and has created a new scholarship aimed at giving one WSET student per year first-hand experience of all aspects of the wine trade. The Thierry Cabanne Scholarship is open to WSET Diploma students who are not currently working in the wine trade and consists of a month’s work experience at Thierry’s. Although the sponsorship will be tailored to the individual winner’s strengths and interests, the successful candidate will be given the opportunity to experience all areas of the wine business including sales, marketing, PR, logistics, retail, as well as producer visits and tastings. Ultimate fashion and luxury goods brand Christian Dior and Château d’Yquem are both parts of the same company, Louis-Vuitton-Moet-Hennessy (LVMH), but it is still something of a surprise to see a new product that is a synergy of the two, in the shape of L’Or de Vie. The L’Or de Vie skin and eye cream uses the the sap from the shoots of sauvignon blanc grape vines at Château d’Yquem, which are claimed to have both anti-oxidizing and regenerating properties. Christian Dior say: “After years of research, Dior researchers identified the substances at the origin of Yquem’s gift for life: once stabilized, these life-bearing substances were revealed to be infinitely precious for the skin. 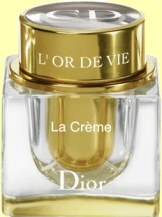 Dior researchers meticulously blended these substances with other highly protective molecules to create L’Or de Vie.” A 50ml pot of skin cream is available from major department stores and from online beauty product specialists. Sauvignon Blanc. 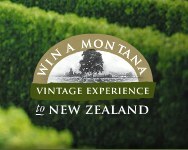 The competition will be promoted via a neck collar on bottles of Montana Marlborough Sauvignon Blanc 2008, Montana Gisborne Unoaked Chardonnay 2007, Montana East Coast Rosé 2007 and Montana Chardonnay Pinot Noir Brut Cuvé NV in retail outlets nationwide from October until 31st December. A dedicated microsite, montanavintageexperience.com, asks you to input a special code from the bottle collar, and answer three multiple choice questions.